Are you looking to have clean and neat property? You do not have time and the home chores are last on the list? 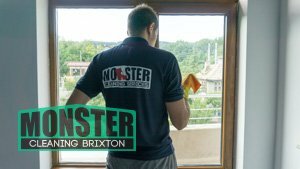 Then you are at the right place, we at Monster Cleaning Brixton can offer you high standard and affordable cleaning services for your home or office. All of our cleaners are highly trained and ready to meet your expectations. They are using variety or cleaning techniques and only top quality products so achieve best results. Choose our company and be ready to be amazed. We will make sure to justify your expectations. Domestic Cleaning – weekly or fortnightly sessions to keep your home clean up to a good standard. 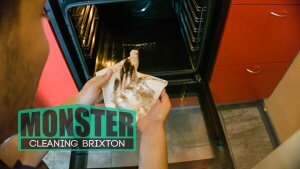 We are always sending the same cleaner for your regular appointments so you should not worry about the security of your place. One Off – Having a party and do not have time for preparations? Leave the cleaning to us and impress your guests. Office Cleaning – Do you know that clean office space can help your employees be more calm and productive? This will also make a good impression to your clients. Take care of your business and leave the cleaning job to us. If you are looking to have more than one of the services we offer do not hesitate to contact our office to get a special price deal. You will see how easy and pleasant it will be to work just with one provider, this will save you all the worries calling around, looking to book with different companies. We are confident you will choose us because we can offer you the best service on the market. Just give us a chance and we will prove you just that! Call 020 8077 1260 any day of the week at regular working hours.